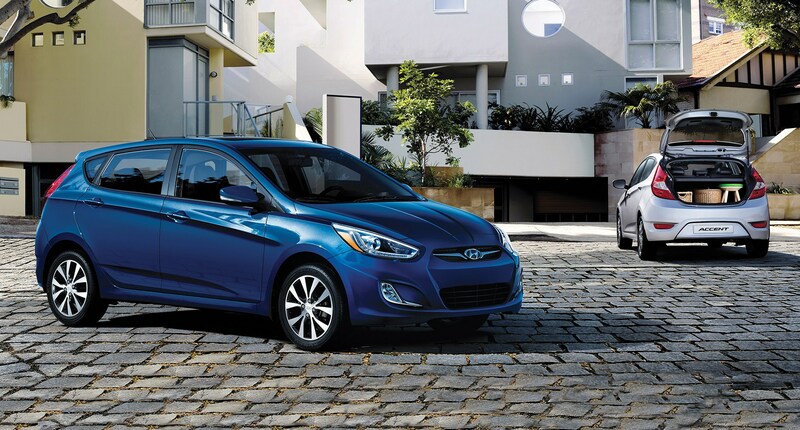 When it comes time to get out on the open road and shake off the winter blues, a spirited jaunt in a new 2017 Hyundai Accent 5-door will have you embracing the warmer weather. Yes, the Hyundai Accent is fun to drive. This zippy 5-door hatchback lets you grab all of your friends and head out for a day of exploration. Its 137 horsepower 1.6-litre GDI engine is a leader in its class and a great way to kiss boredom goodbye on a warm spring night. It’s easy to grab some gears and swing through the corners when you have Dual Continuously Variable Valve Timing to help you improve your response time by tweaking the torque. It’s also very fuel efficient, so you and your friends can go a long way on a tank of gas. The Accent comes with Active ECO mode that helps you save even more fuel by modifying the engine and the transmission for better acceleration with less spent fuel. Thanks to a set of disc brakes, you get better control when slowing down for corners or stopping for lights. They offer a larger surface for friction and cool a lot quicker than drum brakes. Combine that stopping power with ABS and Electronic Brake-force Distribution found standard on any model, and you get a lightweight car that is easy to control. The Vehicle Stability Management system keeps your wheels planted firmly on the ground, even as you are rounding corners. All of these features help to eliminate the loss of traction and prevent skids. Regardless of the transmission you choose, a 6-speed manual or a 6-speed automatic, you are going to see impressive fuel numbers. The manual offers 8.8 in the city, 6.5 on the highway and 7.8 combined L/100km. The automatic is 8.9, 6.6 and 7.9 respective L/100km. Hyundai built the Accent 5-door for fun, and it shows in every line, curve and window. Let the sun in and the wind blow with the available sunroof that is powered by your fingertip on the control. It tilts and slides, so you can determine exactly how much air and sun you want spilling over into the interior. That interior is designed for drivers with heated bucket front seats and controls that are within easy reach. Hyundai mounted a large selection of controls on the steering wheel that gives you the power to take calls, change your playlist or put it on cruise control without ever taking your eyes off the road. The interior offers a large selection of places to store things like sunglasses and cups. In fact, almost everything you or your friends can think of has a place. There are map pockets, bottle holders, storage trays, sliding armrest storage and a large glove box. The back opens up to a large cargo area that is can be accessed easily by way of the hatchback. If you need more room, the rear seats split 60/40. The Accent 5-door comes in four models that include a basic L model with a manual transmission that is easy on the budget in both price and fuel efficiency. No matter which model suits your driving needs, we’re sure that you will agree that the 2017 Hyundai Accent 5-door is a blast to drive. Stop by today and see for yourself.